We are holding a 50/50 Cash Draw at the end of the season. 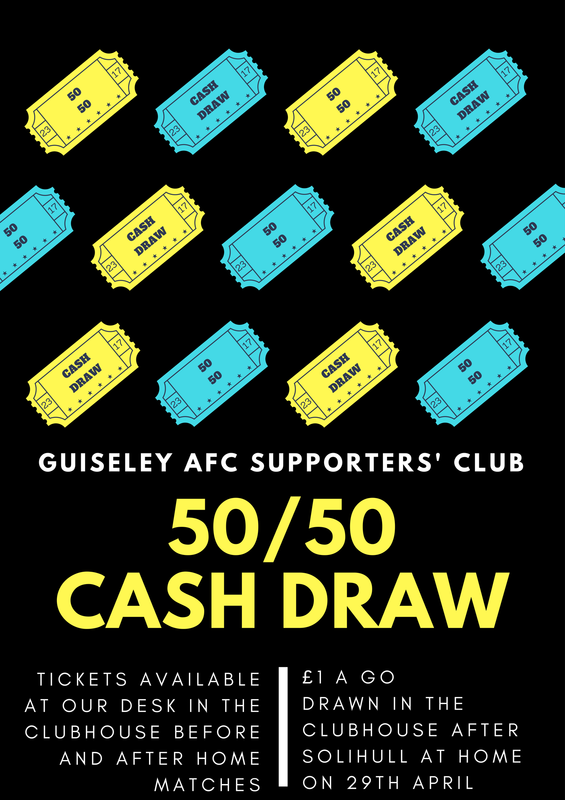 Following the popular take up of this last campaign we hope the faithful Guiseley AFC Supporters will once again back this event. Tickets are available for just £1 each at our desk in the clubhouse. Tickets will also be on sale around the ground at the Forest Green Rovers, Tranmere Rovers and Solihull Moors home games. We will then draw the winning ticket in the clubhouse shortly after the final whistle on 29th April when Solihull Moors visit Nethermoor. Remember the more tickets you purchase the bigger the prize you have a chance of winning.